Lübeck, city in north central Germany on the Trave River, in Schleswig-Holstein, near the Baltic Sea and the border with the state of Mecklenburg-Vorpommern. 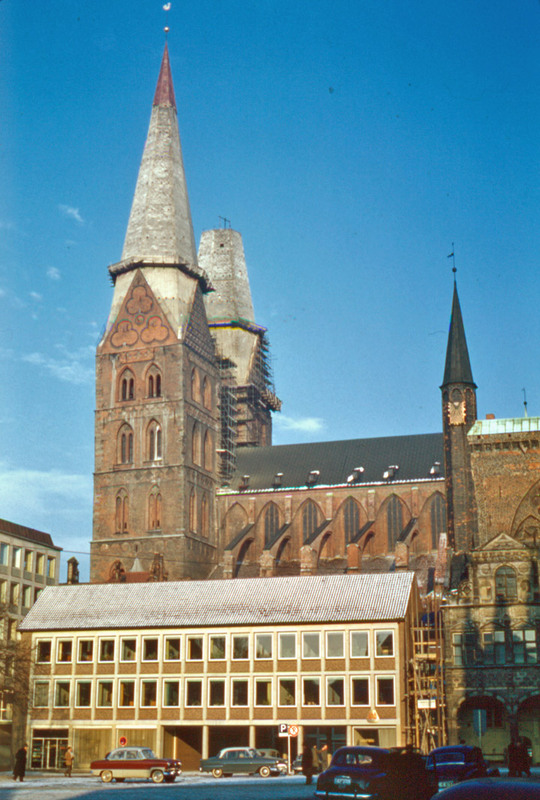 A major Baltic port, Lübeck is also an important center of heavy industry and tourism, and the focus of a large metropolitan area. Shipbuilding is a major industry; other manufactures include textiles, machinery, marzipan (a local specialty), and other confections. A ring of canals separates the ancient inner city from surrounding suburban manufacturing areas. This historic section, restored after heavy bombing in World War II (1939-1945), has some of the country's finest medieval Gothic buildings. Landmarks include the Town Hall (begun 1250), famous for its intricate brickwork; the Holstentor or Holstein Gate (1477), a remnant of the old city fortifications with large twin towers; the Romanesque cathedral (1173-1477), known for its gigantic figure of Christ, carved in 1477 by the noted sculptor Bernt Notke; and the Gothic Church of Saint Mary's (1250-1330). Dietrich Buxtehude was organist for the church from 1668 until his death in 1707. Writers Heinrich Mann and Thomas Mann were born in Lübeck. A medical university (1973) in the city is a center of research, teaching, and medical care. The Academy of Music features an annual summer music festival. 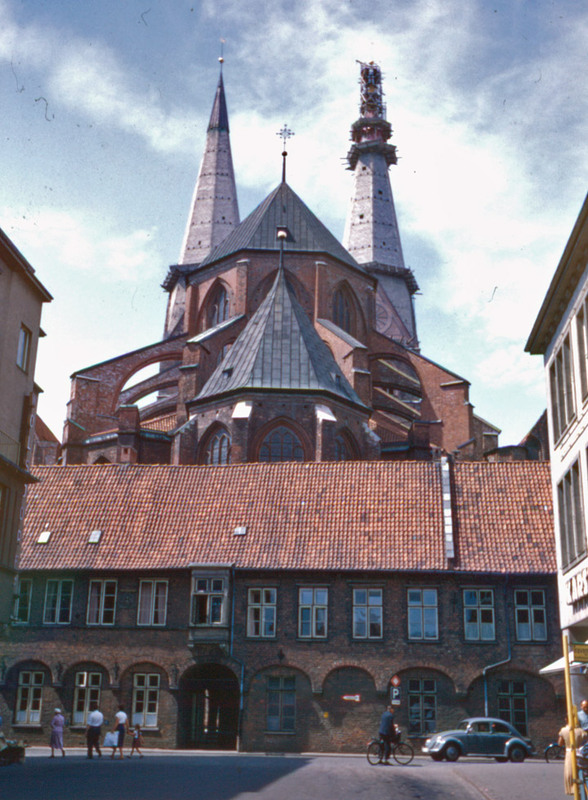 Mentioned in the 11th century, Lübeck became a fortified settlement in the 12th century. After a destructive fire in 1157 it was rebuilt in 1159 by Henry the Lion and became a free imperial city in 1226. 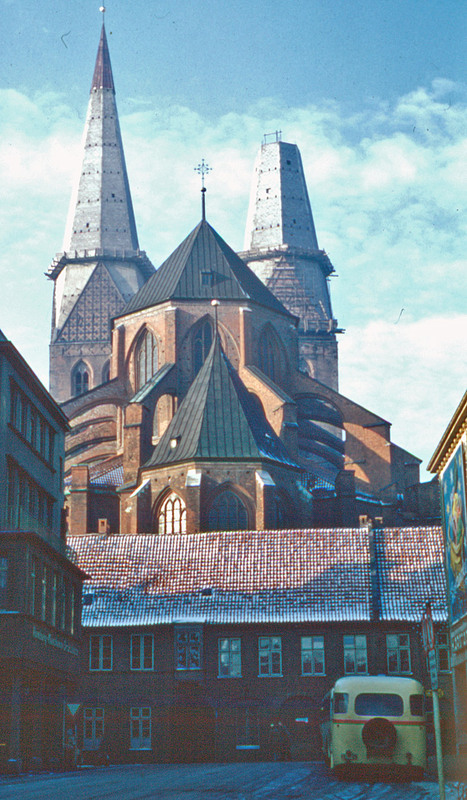 In 1358 it was made the capital of the Hanseatic League and grew wealthy as the center of western Europe's Baltic trade with Russia and Scandinavia. Port activities diminished with the collapse of the league in the 17th century and further declined in the 19th century with the rise of the Prussian Baltic port of Stettin (now Szczecin in Poland). Lübeck retained its political independence until it became part of Schleswig-Holstein in 1937; its economy had been revitalized by the completion in 1900 of the Elbe-Lübeck Canal, linking the city with the interior of Europe. 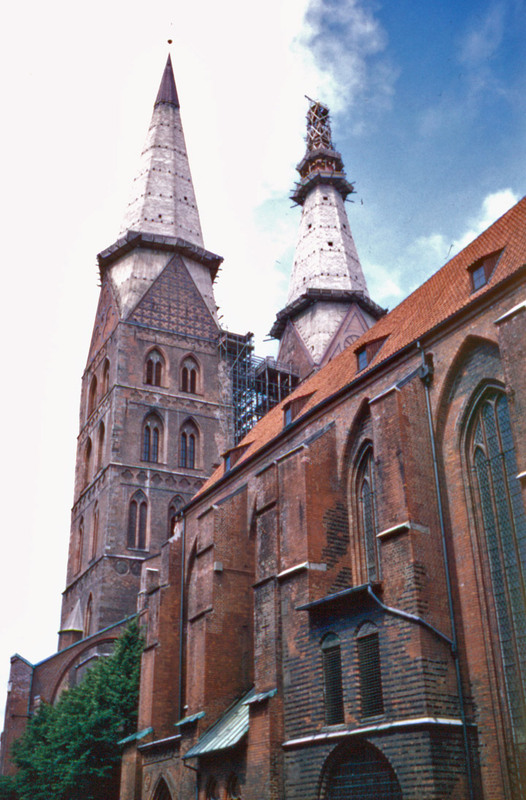 The heavy damage inflicted by bombing during World War II (1939-1945) was rapidly repaired, and Lübeck's economy was stimulated by the arrival soon after the war of many refugees from Soviet-occupied eastern Germany. Population (1997) 216,854.